Holly Farm South Walsham was the venue for round 26 of the summer series this week. 19 members made the trip which is a good turn out for this once prolific fishery. Could Mark Seaman make it 2 in a row? Or would Mark Harmer get back to winning ways? With the draw done and a sunny warm day forecast it was time for the all in. So it turned out it was Mark Harmer making a return to winning ways this week after his second place the previous week. 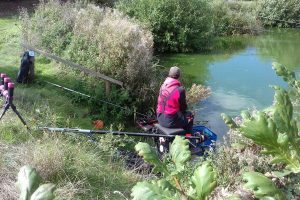 Mark was fishing peg 4 and caught carp at 6 metres and down the edge for a total weight of 22lb 6oz not a great weight but this shows how poor the fishery is now. 2nd place goes to Dave Dearman who was just one fish from winning. 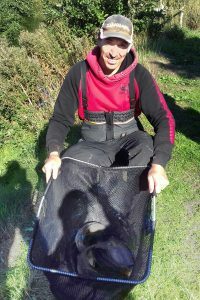 Dave fished peg 6 and weighed 21lb 8oz. Mark Seaman has to settle for third place this week. Fishing peg 17 Mark weighed 17lb 8oz. And with only 4 more weights over 10lb tells it’s own story. There was 4 D’N’W’s This week.